The NVIDIA Shield Tablet is easily one of the best tablets available in the market today and Amazon is now offering a $30 gift card with the purchase of the device. There are several other retailers like Tiger Direct, Frys, Best Buy etc who have a similar promo on offer, so the discount seems to be coming directly from NVIDIA. If you’ve wanted to get the Shield Tablet any time soon, now might be the best time to do it given the prices it’s selling for. If you opt to buy the 32GB model, you can even get titles like Half Life 2, Half Life 2: Episode One and Portal for free, which are the best games available for the tablet right now. You can head over to the Amazon link here to benefit from this new promo. 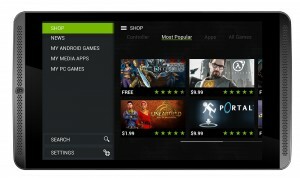 The tablet can be bought at the discounted price directly from NVIDIA as well.